Welcome to the second in our series of conversations between Prime Writers. 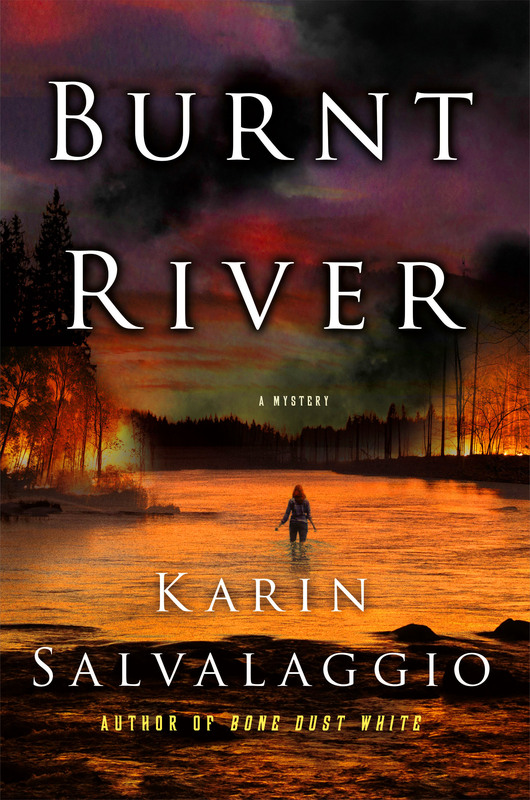 This month, Vanessa Lafaye, author of SUMMERTIME (UNDER A DARK SUMMER SKY in the US) and Karin Salvalaggio, author of BURNT RIVER discuss the connections between their two books. Wilmington Creek she expects an open-and-shut, if high-profile, murder case. 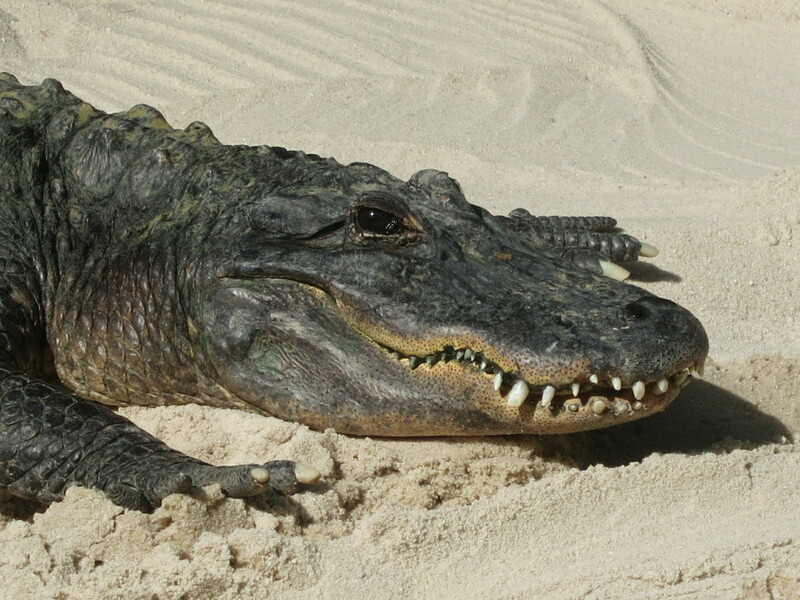 What greets her is anything but. John Dalton, a soldier returned home from serving in Afghanistan, has been shot dead in an alleyway outside a local bar. Macy is increasingly about what she discovers as she navigates the politics of a small town and the Dalton family clan. 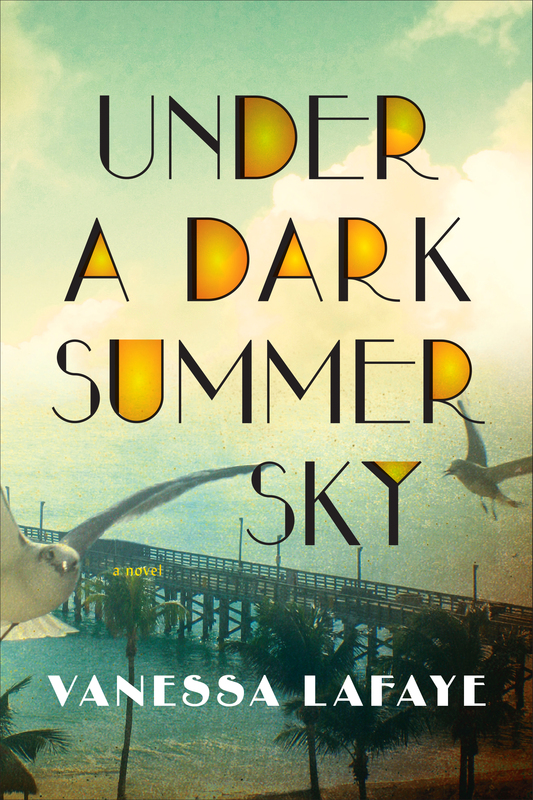 About SUMMERTIME (UNDER A DARK SUMMER SKY): This is the fictionalised depiction of the days leading up to the arrival of Labor Day hurricane of 1935 on the tiny town of Islamorada in the Florida keys. It was a storm of immense magnitude, largely forgotten, and we see its effects on the locals and a group of destitute WWI veterans sent there on a government works project. It is a selection for the Richard and Judy Summer Book Club 2015. Vanessa: We discovered that we’re both drawn to issue-led stories, in this case, the experiences of war veterans. For me, I was so outraged when I learned of how the soldiers of 1935 were abandoned, that I felt compelled to write about it. What was the motivation for you? Karin: I come from a military background. My father was in the Air Force for 33 years. I feel strongly that, if we’re going to have a standing army, then much more care needs to be given to soldiers who go through multiple deployments. Although BURNT RIVER is first and foremost a work of fiction, I feel that books can play a role in raising awareness. 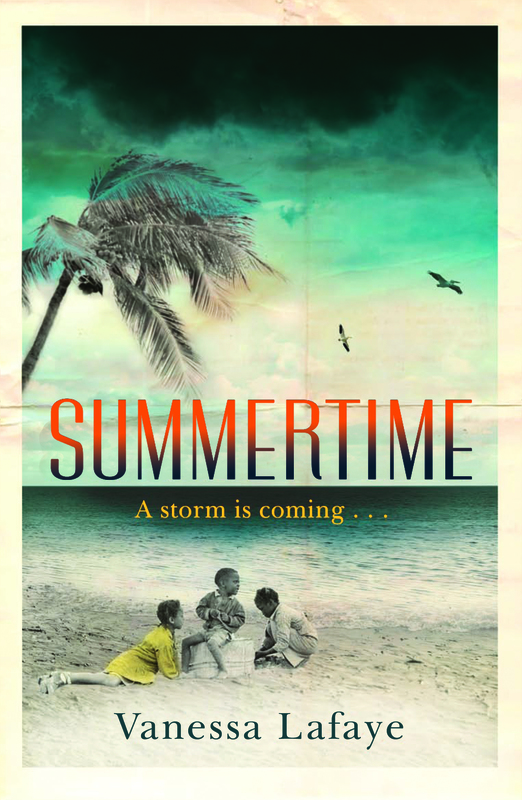 Your book SUMMERTIME depicts a forgotten historical episode, completely different to my crime novel, yet it seems like the concerns come from a similar place. Is that right? Vanessa: Yes, definitely. I have no forces connection. I was just so moved by the real events. I do feel that fiction has the ability to make that emotional connection with real events and real issues. I certainly hoped that readers would feel some of my outrage. Karin: You raise so many issues in your book, especially to do with race. The black soldiers experienced equality for the first time during WWI in France, only to face worse oppression when they came home. Vanessa: Yes they had a taste of equality, which made it that much harder to return to segregated American society. This touches on another interesting coincidence. In the same way that the black American soldiers had their eyes opened by fighting in France, your veterans also had their first taste of foreign travel. They talk about it being the making of them. These 2 groups of soldiers, 100 years apart, are experiencing similar awakenings, and similar problems when they come home. Karin: Absolutely. I tried to represent a spectrum of post war experiences in my characters. Like the vast majority of returning service men and women, John Dalton was coping well. He went into the military for all the right reasons and going forward probably would have contributed to society. Tyler was already having problems when he enlisted – doors were closing for him at home. He found a sense of identity in the forces. And then we have Dylan, who sort of stumbled into service, and is very traumatised. But one way or another, their war experiences opened their eyes just like it was for your character Henry, who was one of the main voices in SUMMERTIME. Vanessa: Henry could have made something of his life, but instead he spends 18 years in the wilderness following his discharge from the army. He’s only just beginning to realise the consequences of letting that happen to him. Karin: I feel that both Henry’s and Dylan’s character arcs are similar in that they finally take charge after being pushed along by bigger forces for a long time. When Henry is on the run, he chooses to go back into danger to save his men and Missy. This is the moment I felt he finally took control. And it’s interesting that Missy had the same revelation at about the same time. Karin: By focusing on war vets, who are traumatised in ways that exist outside of a normal narrative structure, we can play with that notion of the unreliable narrator. They’re not going to behave and do things the same way you’d expect a young man who’s lived around the corner all his life and has never had these sorts of violent experiences thrown at him. I think it’s a rich seam but comes with a heavy burden of responsibility. It can come off as patronising and manipulative. It’s a tough one to crack but I just felt from my heart that I had to try. I worked hard. I researched. I cried a lot. As a writer you do your best. If it shines a little light onto veteran’s issues I feel I’ve succeeded. Vanessa: I’m sure that you felt the same sense of responsibility as I did, because they’re fictional people but they also exist. What about our female characters? They’re extremely important to the plot of both books. Karin: I adored Selma. She took charge of situations. Knew everyone’s secrets. Vanessa: Thank you. Several of our female characters really move the plot on and they’re not just foils for the men. Karin: No, I don’t think either of us believe in writing weak female characters! Your book is packed with strong characters – Missy, Mama, Selma. Hilda isn’t a character we get to know very well but that doesn’t make her any less interesting. Vanessa: I wrote Hilda’s character when, having finished cancer treatment, had gained a lot of weight and felt really fat. I couldn’t fit into any of my clothes and I sat there and wrote all of that into the scene where we first meet Hilda. She’s in despair over her appearance. Karin – I think we’ve all been there at one time or another. I really felt for her. But, it’s not always necessary to share our character’s experiences in order to write them well. Jessie is a recovering meth addict who is troubled and traumatised. Her body is ravaged in very different ways to Hilda’s. She’s rake thin and scarred. All the research in the world can’t really tell you how that feels. But I’ve felt pain, despair and panic. It’s about taking our own feelings and repackaging them. Vanessa: Jessie stops being a victim by the end of the book. All her life she’s always been abused by one man or another. We both have so many interesting characters! Handling that many points of view was a challenge for me. How did you find it? Karin: It was tricky, but you had far more to deal with! BURNT RIVER is told through just three points of view that are woven in alternating chapters so we only see the action through Dylan, Macy and Jessie’s eyes. You change points of view whenever you change scenes. For a debut novelist it’s a very difficult thing to pull off well because your characters’ voices must be easily differentiated. I noticed that you sped up changes in scenes and points of view as the storm approached. Vanessa: It’s interesting that as a writer you can use that sort of device to create a sense of panic. I very deliberately started chopping the scenes into smaller and smaller pieces so the transitions sped up as you got into the storm. I wanted to make the reader feel they were being dragged into the chaos. I was worried it hadn’t come across. Karin: It was very successful but you have to be very focused when reading the last third of SUMMERTIME! Vanessa: Yes and we both have ‘ticking clocks’ in our books. Mine is the storm, yours is the lake drying up to expose the pick-up truck. And even if you know what’s coming, like when you watch ‘Titanic’, you keep going because you want to find out what happens to the characters. Karin: It is the characters that keep people reading, which is why it so important to get the reader fully vested as soon as possible. Your opening scene establishes Selma as a sympathetic character. She has some unlikeable characteristics but in that first scene she ‘saves the cat’, as they say in screen writing. Vanessa: We want the readers to sympathise with our characters, despite their flaws, weaknesses, and misdeeds. We don’t want a cast of characters that are all good or all bad. People are complex. ‘Good to the bone’ is boring. Dwayne for instance is emotionally overwrought and the pressure he’s under has pushed him to the point where he’s not thinking clearly. Karin: Dwayne’s behaviour may be loathsome but in the context in of 1935 it’s believable. The thing that’s nice is that he does change. I believe in a redemptive arc, as long as it’s plausible. Dwayne has an epiphany when he sees how horribly Hilda was beaten. He has to confront that fact that he has been treating his wife in very much the same way. He can see the result of taking it too far and chooses to stop. My character Dylan, who is suffering from PTSD, has struck his mother in the past, but you have context for his behaviour, so it makes more sense to the reader. I don’t know about you but I feel I had to make some difficult decisions. Sometimes it felt as if I was being purposefully ‘mean’ to my characters in order to achieve that much needed arc. Vanessa: I had the same thing. Some of the characters survived in the original draft but it felt too sentimental. I had to go back in and make it more believable. Karin: It’s easy to fall into that sentimentality trap and lose what’s real. One of the great things about my editor is that she calls me out when I take things too far. She wants me to be very real on the page. Tyler was a very complex character for this reason. He clearly loves Dylan and goes out of his way to care for him but a very harsh voice emerges at times. You can tell he’s suppressing a lot of anger. Speaking of keeping it real, will you continue writing fiction based on real historical events? Vanessa: I started the second book yesterday. It’s taken me 18 months to find a story. I wanted another ‘true’ one and once I found one I had to figure out how to make work as a book. 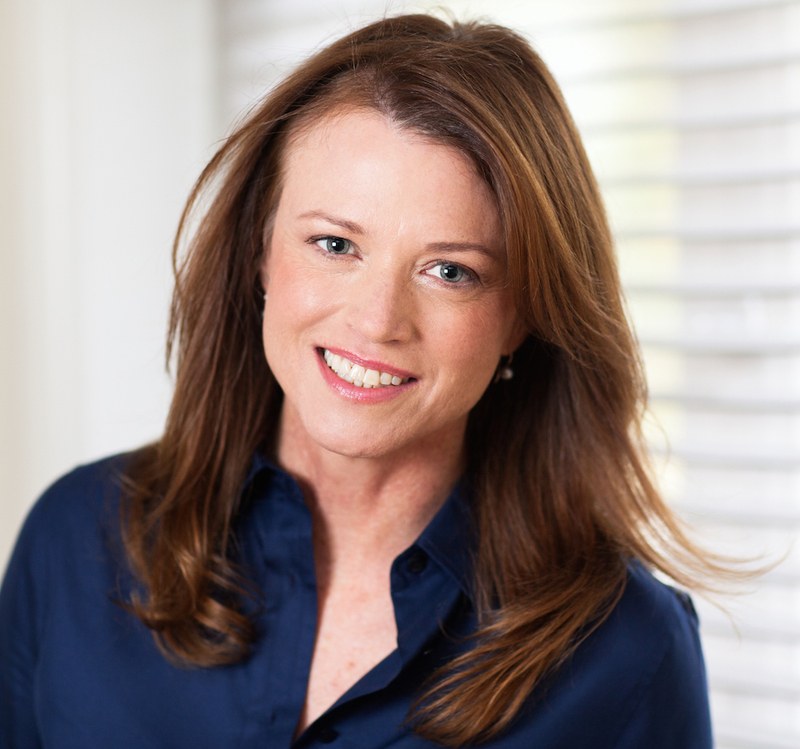 Karin: Will historical fiction be your passion going forward? 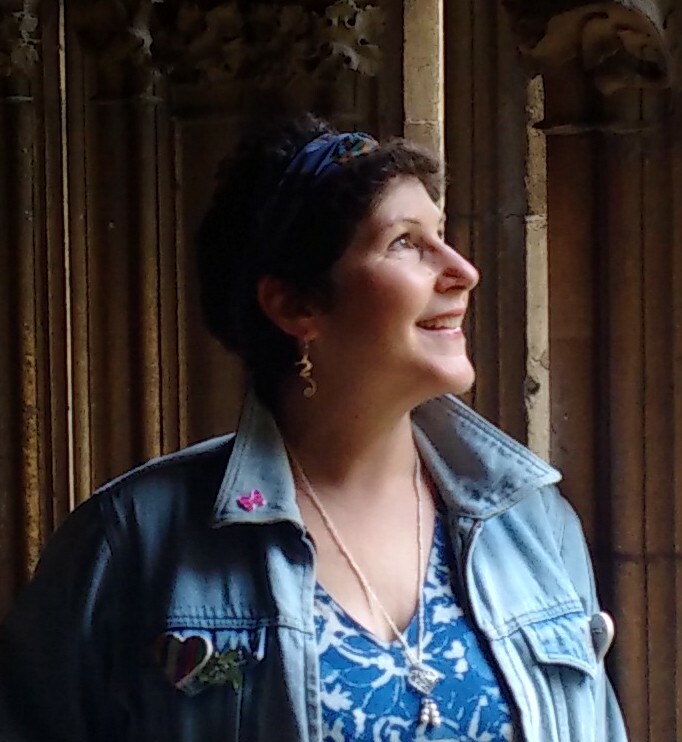 Vanessa: Before SUMMERTIME I’d written two unpublished novels of contemporary women’s fiction so this was the first time I’d attempted historical fiction and I just love having that framework of real events. Karin: Is it set in the US again? Vanessa: It is set in Key West, Florida in the 1920s during prohibition. I love weaving in period detail in a way that is naturally part of the story. I don’t enjoy books that are too weighed down with historical detail. Karin: I know what you mean. We don’t really need to know who made every stick of furniture! Sometimes a genre label can be restricting but when you’re facing the task of writing 90,000 words having a framework can be helpful. Saying that, I still don’t adhere to the crime fiction’s ‘rules’ as tightly as some writers, which does get me into mischief with readers who may have specific expectations when they pick up a crime fiction novel. Much like BURNT RIVER, which deals with PTSD, my next two novels also touch on social issues. A LOADED SKY takes on prescription drug abuse and the untitled fourth book will probably deal with domestic violence although that’s subject to change. What about you Vanessa, will your new project be issue-led again? Vanessa: Yes, that’s what attracted me to the story. The thing that keeps me going is caring about something of importance at the heart of the story. Going back the issue of being labelled within a specific genre whether it’s historical fiction or crime fiction – in SUMMERTIME I wanted to include an historical event but also a crime, a love story and I wanted address race relations. So you can combine all these elements and it still gets labelled. Karin: The world seems to need labels! Vanessa: It’s interesting that we’ve both set our books in small towns. What is it about small towns? Karin: A small rural community almost creates a locked room murder mystery because it’s not that easy to leave. They not only leave their whole world behind but they also put themselves at the top of the suspect list! Setting a story in a small town also allows me to more easily control the elements. As a relatively inexperienced writer I find that I still need that structure. Vanessa: I found SUMMERTIME’s main story when I was reading about a lynching that occurre d in a small rural community in Florida in 1935. No one has ever been prosecuted for it because all the locals have intimidated law enforcement and journalists. Everyone knows who did it but everyone is afraid to tell the story. Small towns are cauldrons. Everyone knows everyone else. Many people are related. Karin: Many people in rural towns will also lack the financial, intellectual and cultural means of escape. What do you do when you don’t have the grades and the degrees? How do you cope? In part, I feel my fascination with these characters stems from a disconnection I have with childhood friends. I moved a lot growing up and given it was a time before social media I lost a lot of people along way. Sometimes I think I’m writing about the futures of the lost characters of my youth. Vanessa: Both of us write about how small communities deal with outsiders coming in. There’s a tendency to close ranks. Whether it’s Macy coming in to investigate a crime or war veterans camped out on the edge of the town, it makes people really uneasy. Karin: Yes, and the size of the veteran’s encampment outside Heron Key was almost as big as the town itself. The soldiers could have easily overrun the town, which they did in that dramatic scene toward the end of SUMMERTIME when they’re all trying to board the train at once. 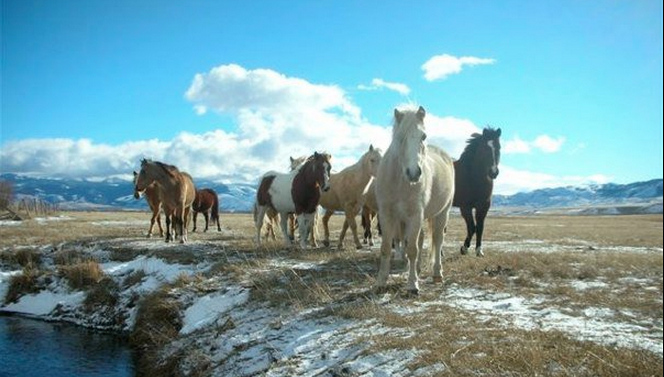 I really didn’t have a sense of their vast numbers until then as you only focused on a few voices. Which brings me to another interesting parallel. Northern Montana and southern Florida couldn’t be further apart but the weather plays a huge role in both our books, as does the juxtaposition of the sea and the mountains. Vanessa: The weather as a character interests me. I really wanted to invest the storm with a personality. For characters like Selma and Zeke the storm is a being. Karin: Another quick point about setting books in rural America. It allows me to get away from technology. It’s realistic for there to be no phone signal. Phones are a nightmare for crime writers. Many things could be solved by simply picking up the phone! And speaking of getting away from technology this is probably a good time to end our conversation. I don’t know about you but I need to get started on another book!